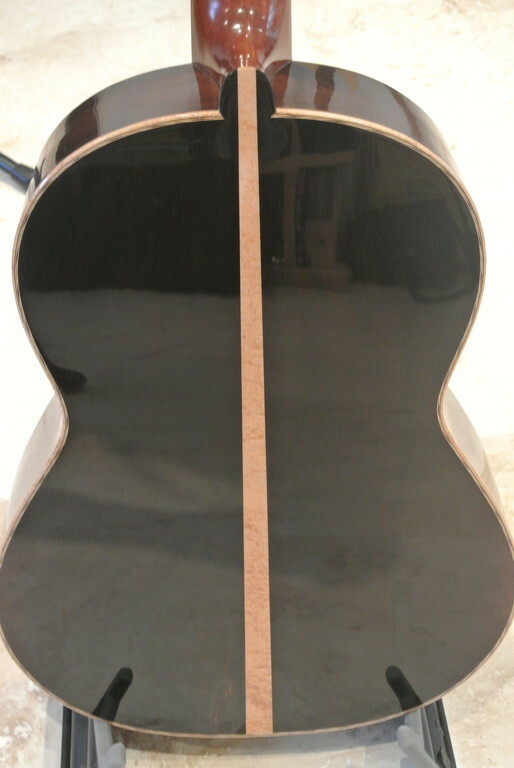 An example of a stunning Michael Gee handmade guitar in construction. 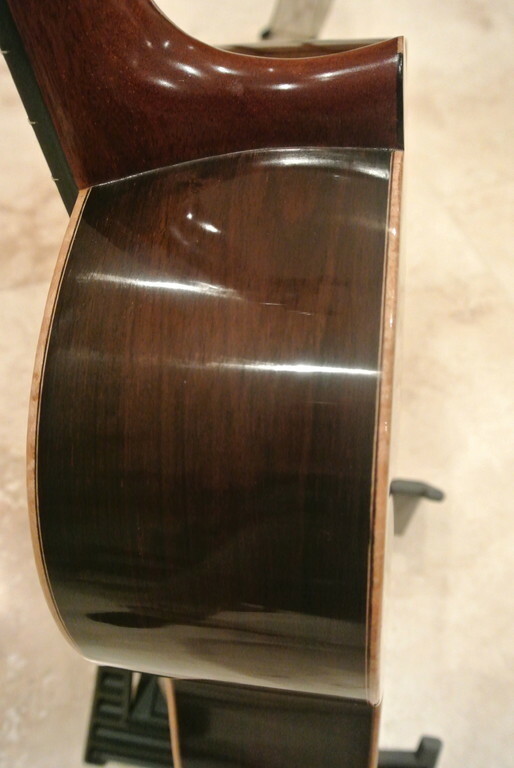 The back is truly striking with rare, old 'Birdseye' Brazilian Rosewood and a central strip of Birdseye Maple....really looking forward to seeing the grain stand out once it has been french polished....if ever a guitar was an investment piece this is it! 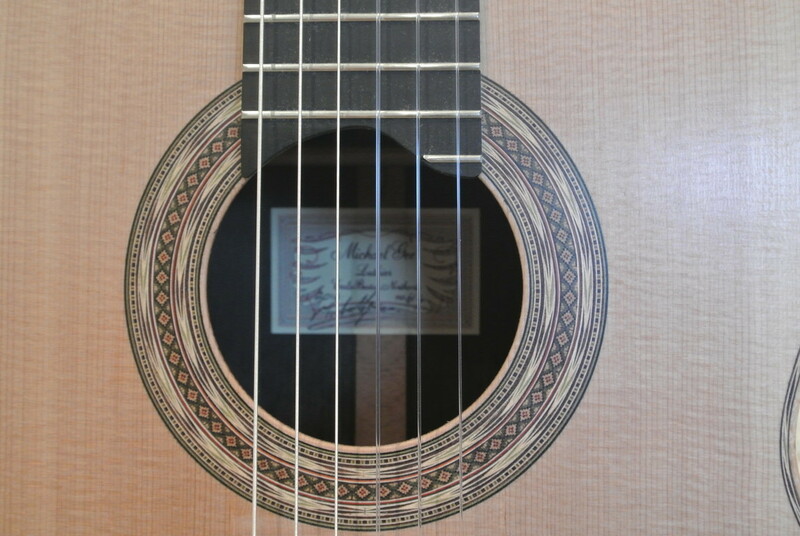 If you are interested in purchasing a new Michael Gee guitar contact us for more details. 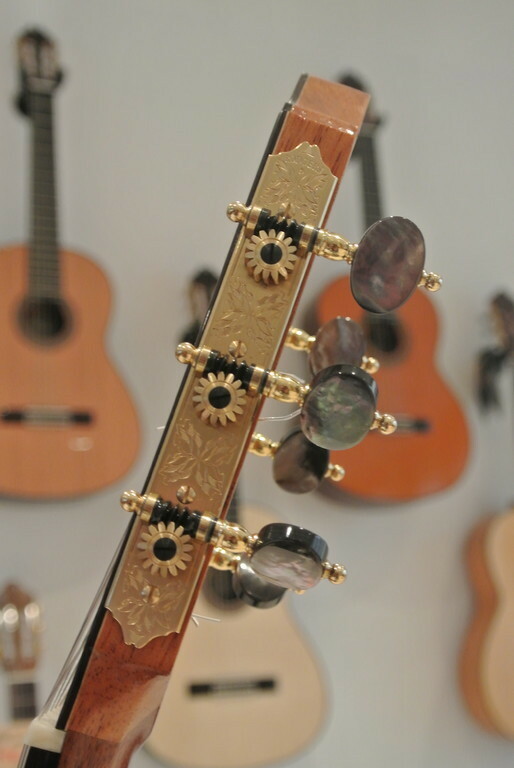 We sometimes know of finished instruments available to purchase, so please ask. Click through to the main Michael Gee page to see further images. 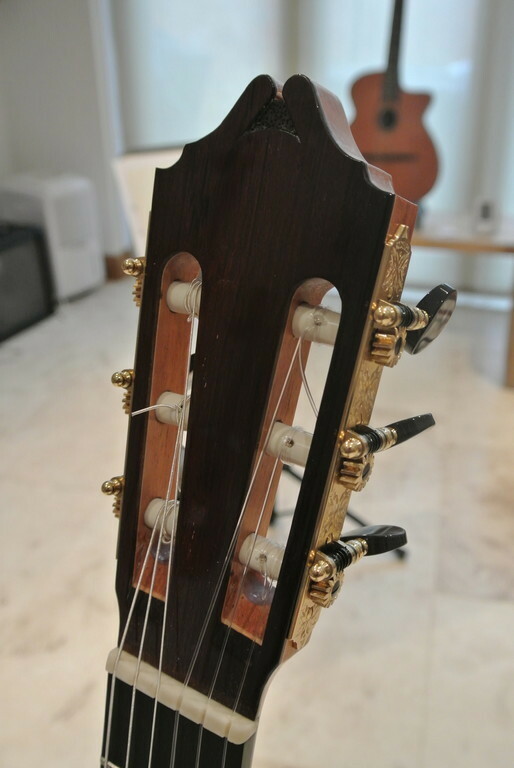 Having had a week to play this guitar and explore it's qualities I have to say that I have not played an instrument like it. I have watched this instrument grow from a pile of wood into an instrument of such beauty and potential. The strings had been on for less than an hour when i first played it and immediately it came to life. However, this guitar will simply keep on getting better! 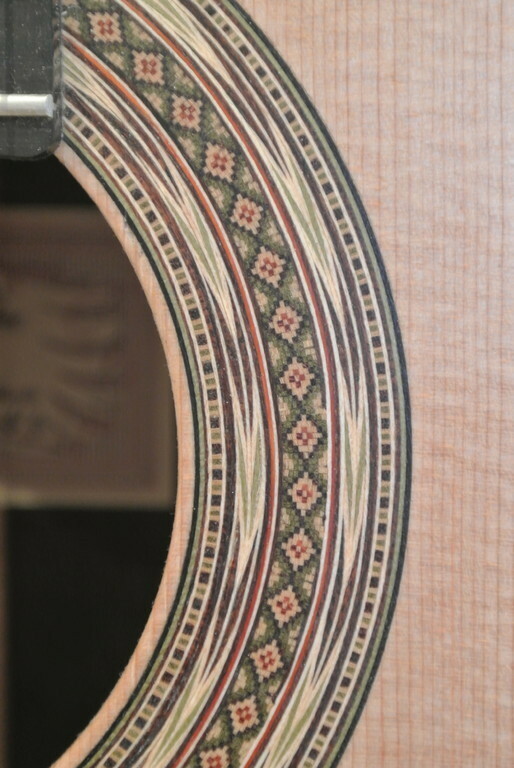 The spruce top will need to be played in and over time more nuances and tonal possibilities will show themselves. On a purely aesthetic level this guitar is breathtaking. The quality of workmanship is there for all to see. The very old rosewood is extremly dark and dense showing it's 'birdseye' shapes under a lovely french polished finish. 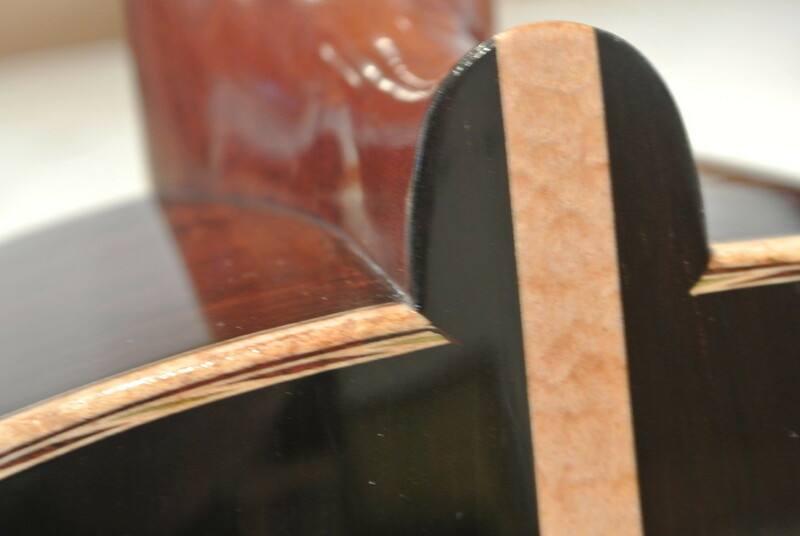 The contrast of the maple centre strip is exactly what I wanted when ordering the guitar. 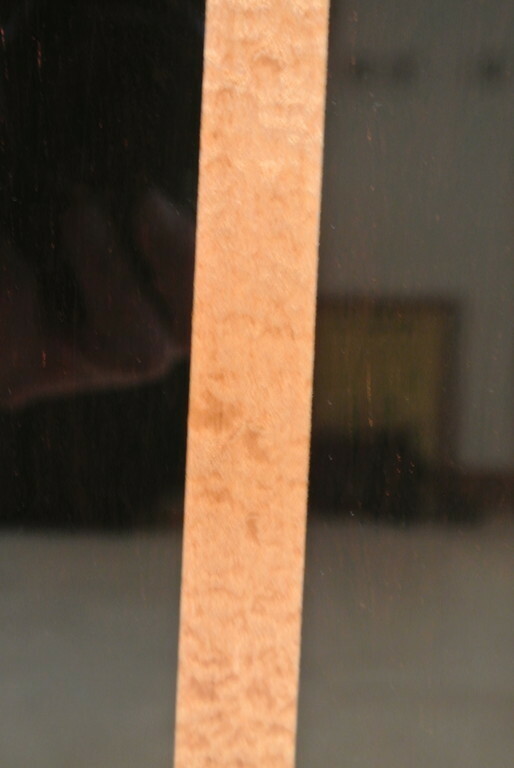 The rosette is very subtle and uses only natural dyes. Greens, browns and grey colour tones are put together by Michael to form a wonderfully traditional rosette. Mike makes every rosette himself. Tuning is left to Rodgers. 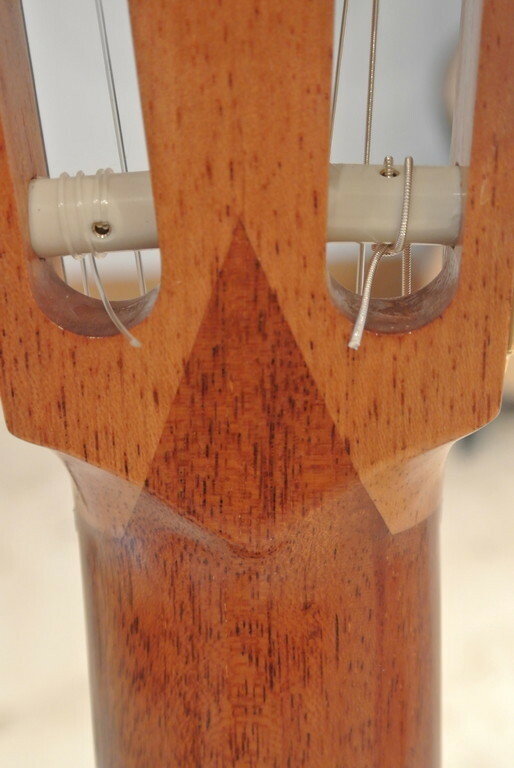 A better pair of tuners you won't find. They look great too with the Gee head replicated in the design of the tuner. 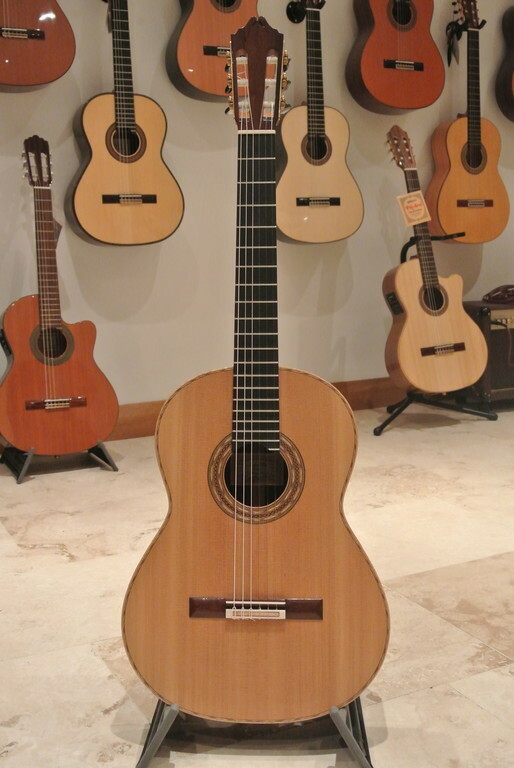 This guitar is comfortable to play and gives you plenty of confidence. It is loud but much more than that. 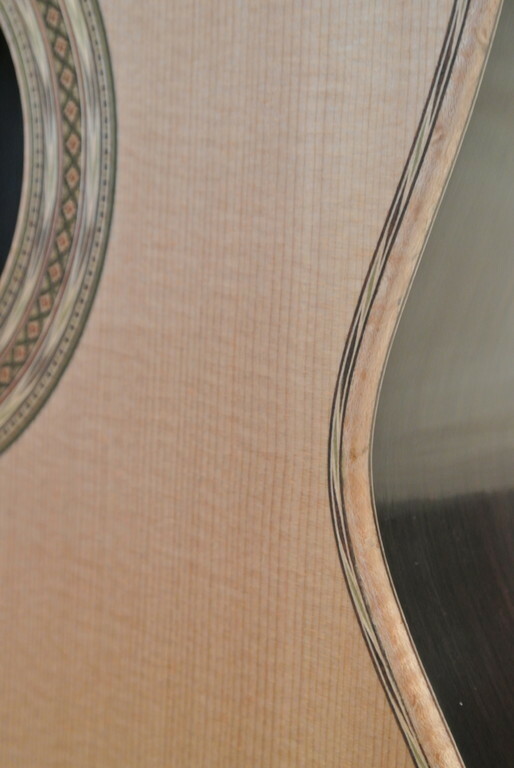 It has a clarity and depth that we all look for when playing the guitar. 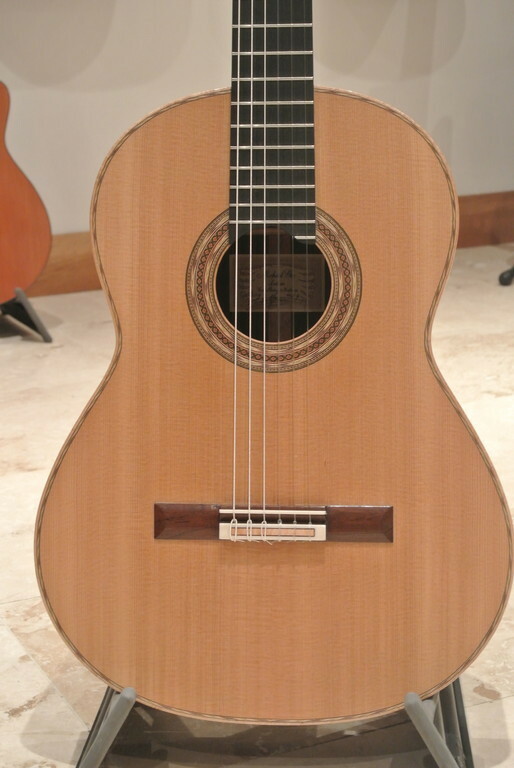 If you are interested in purchasing a new Michael Gee guitar contact us for more more details. 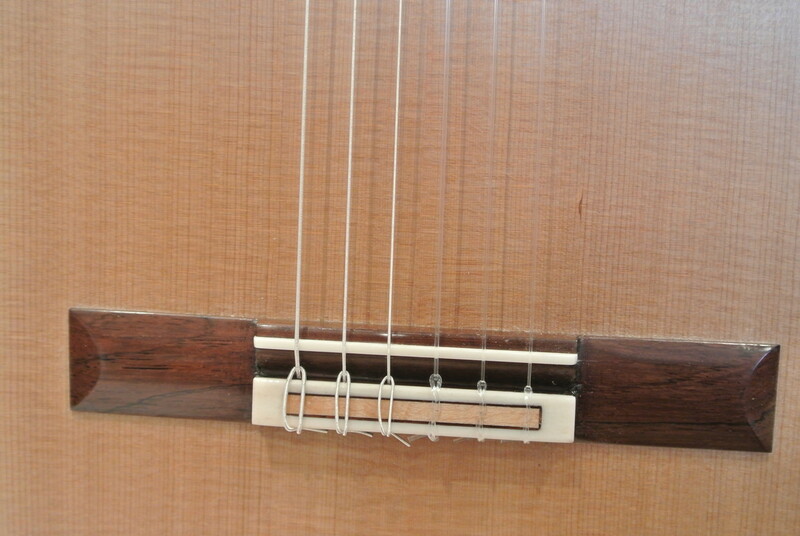 Here are some pictures taken of my guitar during the construction process. 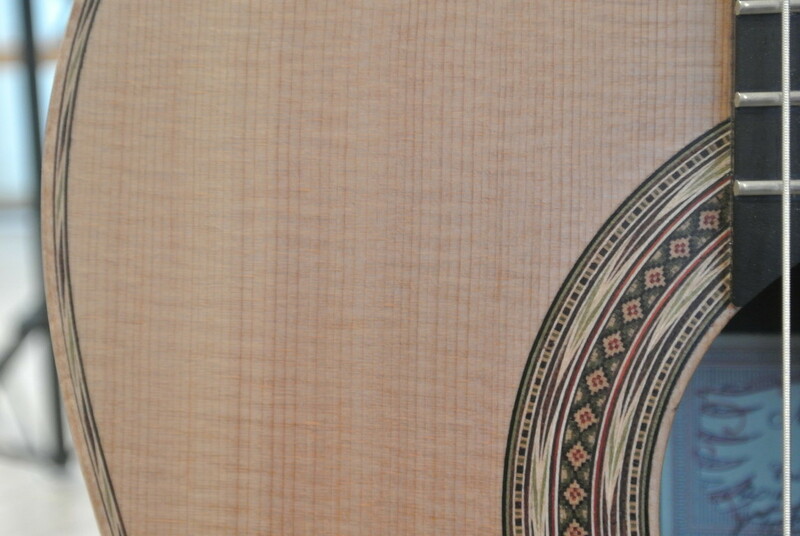 Michael's talent can be seen all over the guitar. The attention to detail, care over wood selection and quality of the woods used are truely awe inspiring.